Colombia: It's Not All Coffee & Cocaine! When I say I’m from Colombia, there are inevitably two questions I am asked: Do I know Pablo Escobar (no) and whether I can recommend good coffee (yes). The knowledge of Colombia amongst travellers is limited to coffee, cocaine and a violent past but thankfully a burst in tourism is about to change that perception. Colombia is home to lush rainforests, enviable beaches, historic cities, a playful culture, good music, gorgeous women and fantastic cuisine. Rising like a phoenix from the ashes of its drug-fueled internal conflict of the 1980s, Colombia’s new tourism slogan sums it up perfectly when it says the only danger to visiting is not wanting to leave. 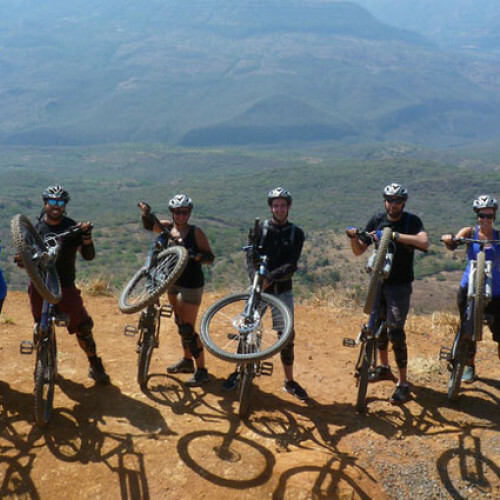 Why Go Biking Across Colombia? 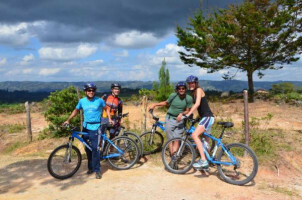 On this 6-day cycling tour, you’ll journey through Colombia’s multiple ecosystems from the high Andes to the lowland tropics. 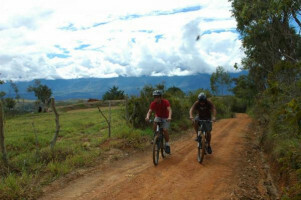 As you ride, you’ll discover beautiful river valleys and historic ruins through Colombia's safe back roads. You’ll stop in colonial towns, tackle the impressive Chicamocha Canyon and sample regional flavours at an organic coffee hacienda to learn first hand just what makes Colombian coffee so good. Flying in and out of Bogota, you’ll see first hand why this country seems to have it all--from the busy capital city in the mountains to the humble coffee growers in the lowlands. Get a deeper perception of Colombia beyond the cliches. 6 days of cycling through the country's unique ecosystems. Experience the beauty of the high Andes through to the tropics. Colombian food, coffee, hospitality, history, and culture!